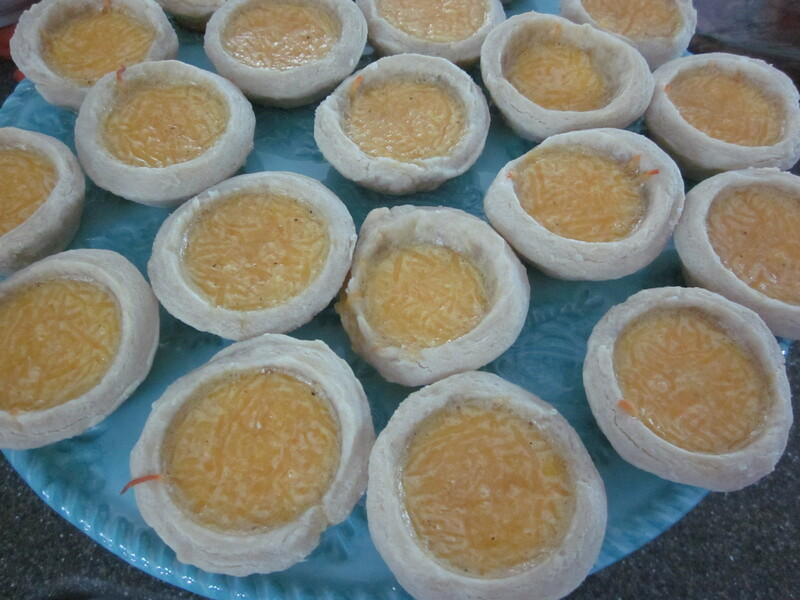 The original recipe called them egg tarts, but I was calling them egg cups, so there. 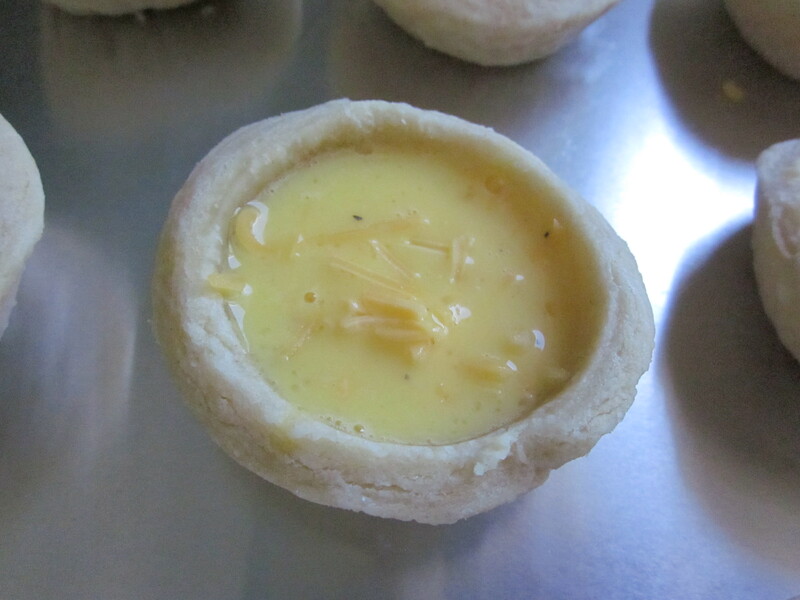 I’d intended to make a quiche, but thought individual protein pies would be a better idea. My only regret is not making twice as many! They were wildly popular with my brunch guests, and I wouldn’t have minded a few leftovers for myself. Depending on how many people you will be serving, I’d recommend making smaller cups. Especially if you have a smorgasbord of other foods, too. And these seem pretty easy to make ahead of time and reheat when you need them. 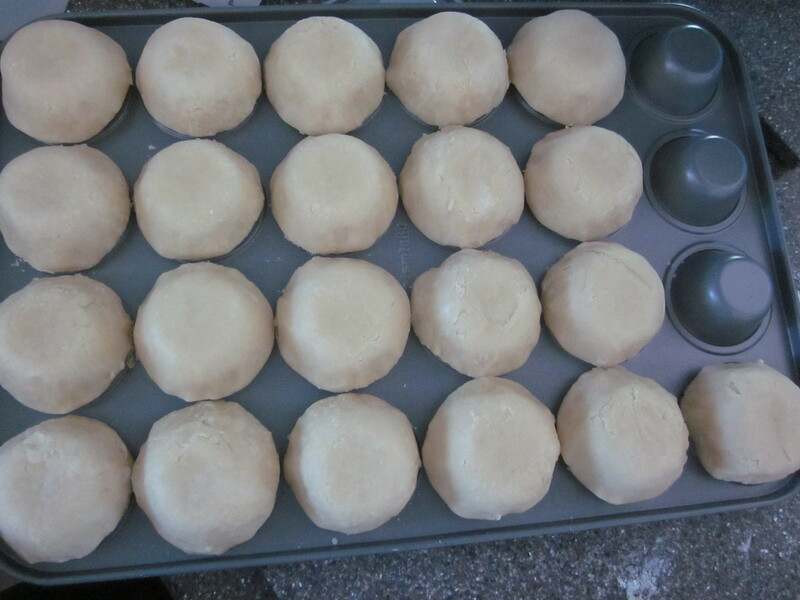 When the dough is ready, preheat your oven to 425ºF. 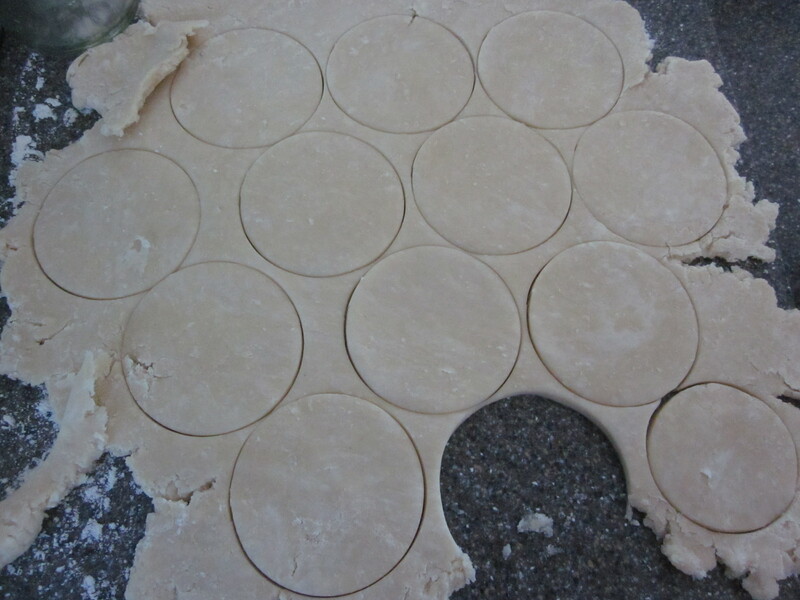 Once it’s firm, roll your dough out about 1/4″ thick. 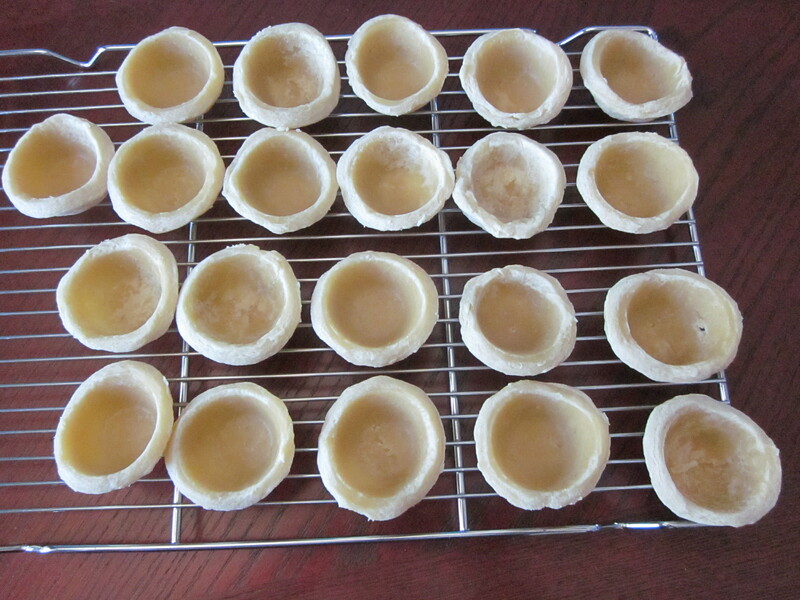 Use a round biscuit cutter to make the mini pie crusts. 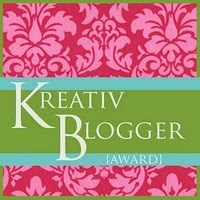 I believe I used a 3″ cutter. (Just make sure you use a big enough circle that you have room to form the cup. 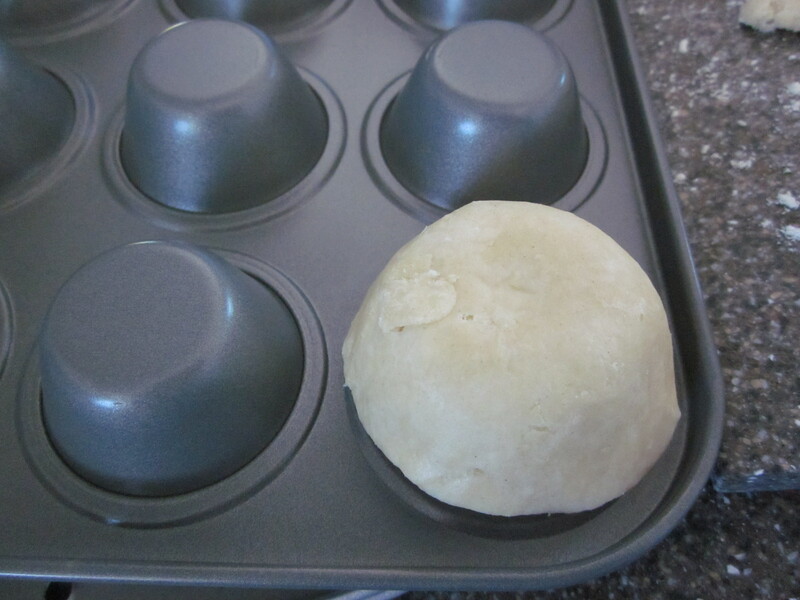 I used trial and error, which unfortunately why the actual size escapes me a few weeks later…) You’re going to place the dough on the underside of the muffin tin, not the inside. The reasoning is you bake the crust first before you put the filling in (and bake it more), and this way you won’t get a bubble on the bottom. 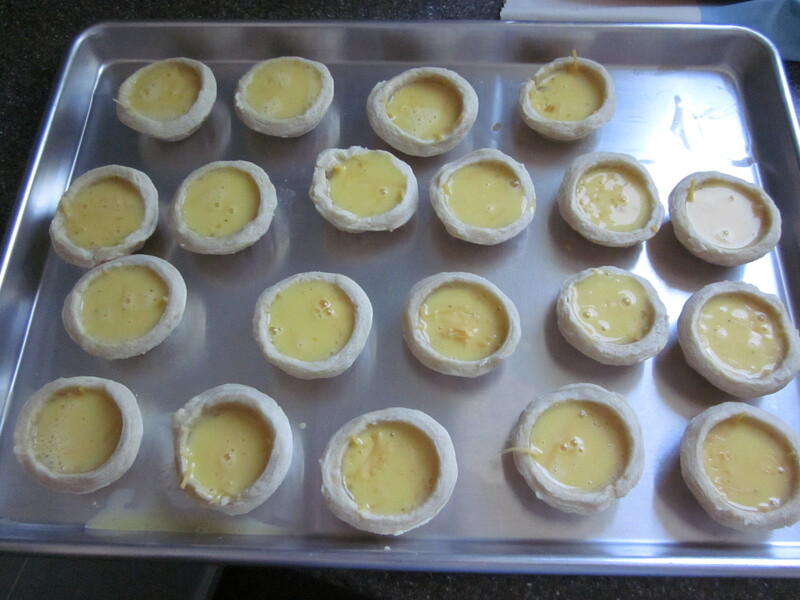 Bake for 8-10 minutes, until light brown. 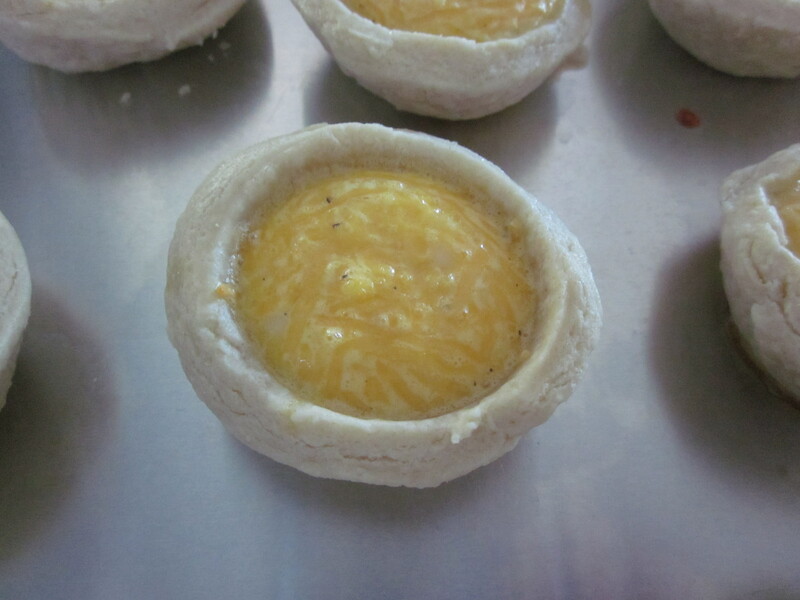 We’ll bake them the rest of the way once they’re filled. 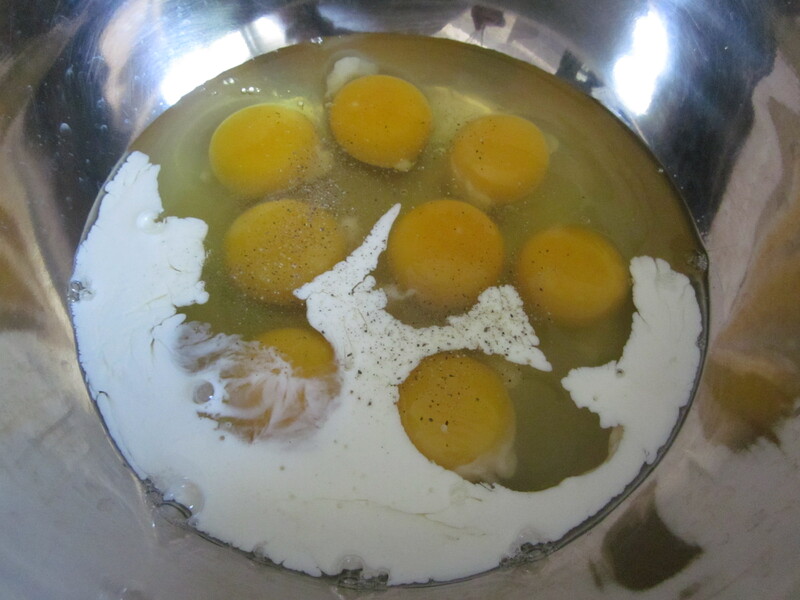 While they’re in the oven, time to make your egg mixture. Simply whisk together the eggs, salt, pepper, and milk. Boom. Easy. Once the cups are done baking, let them cool for a few minutes, then remove them from the muffin tins and line them up on a baking sheet. No need for grease or parchment. Lower the oven temp to 350ºF. 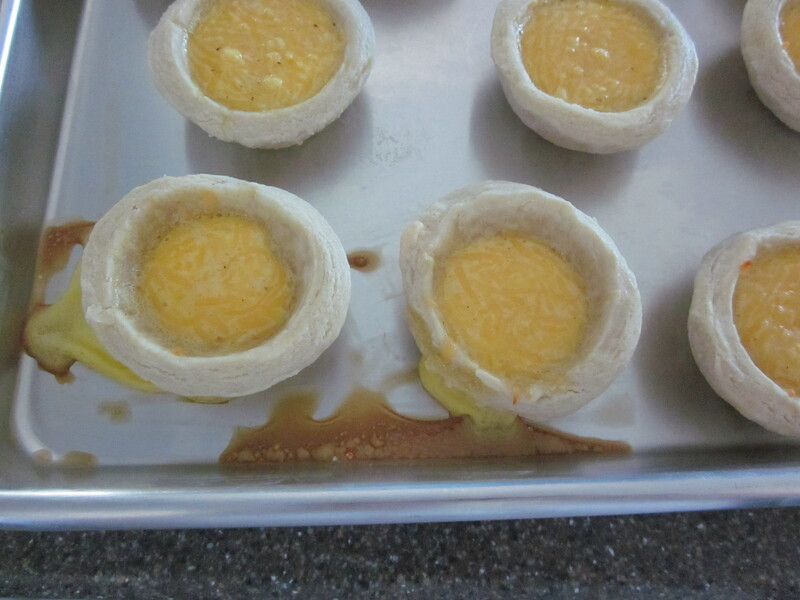 Using a spoon or ladle, pour egg into each of the cups, making sure not to go all the way up to the top edge (you will be moving the tray, after all). This was where I discovered some cracks in my cups, as you can see from the spillage, so just be aware when you’re making them, and try to patch any holes before baking. I cannot say enough how much we all enjoyed these, and I will definitely double the recipe next time, and even experiment with other fillers. (I’ll probably need to make full-sized ones for that, though.) Any suggestions for your favorite egg pairings? 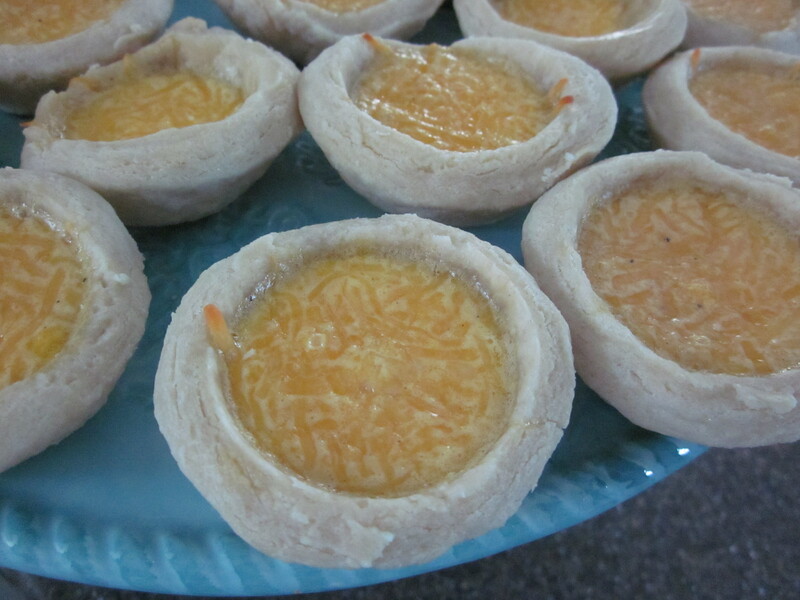 These were perfect for brunch, and I’m sure would be great if made ahead and reheated.